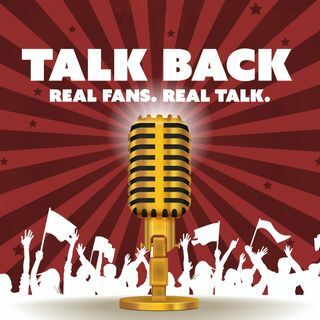 Talk Back Episode 113 - NFL AFC West preview, NASCAR silly season & Back Talk! On this week's episode of Talk Back, Eric Nesbit & Justin Gay finalize the NFL AFC Conference divisional preview series by looking at the AFC West, a conference near and dear to Justin's heart as a Broncos fan. The action then moves to the garage area as they discuss the NASCAR silly season moves already being made, and the impact that sponsorship dollars are having on the way business is conducted in racing. This week the show debuts a new segment called "Back Talk! ", ... See More where one of the hosts gets 5 minutes on the mic to rant at the media's response to current events. The show concludes with our normal lightning round, featuring questions about CTE in football and Steph Curry & Kyrie Irving clowning Lebron. For episode info and to respond to the hosts or submit a lightning round question, visit @TalkBackFanTalk on Twitter and Facebook. Enjoy the show!